Global Water Dances uses dance as a social tool to to bring people in a cheerful way together and integrate dance with the vital issue of clean water for all people and all life on earth. A party with a message that goes around the whole world on June20th (the longest day of the year). Global Water Dances began with a small group of students non-verbal communication who use community dance to create social cohesion. They started the idea in July 2008 at Schumacher College in England. Global Water Dances is the global event first launched in June 2011. Participation in planning local events on Global Water Dances is open to anyone who likes to move. The second overall performance was conducted on June 15th in 2013. On that day were a series of dance focused on water issues conducted in several places around the world. It remains an artistic initiative, focused on the critical need for safe drinking water. It allows participants to make a local connection to the global community and work to ensure that all people have access to clean drinking water so that the water we drink and flows through our bodies sustains us and causes us no harm. I. 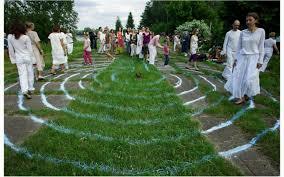 A ritual or a ceremony, which is specific for each location. II. A water dance created by local choreographers with local music around local problems with water. IV. Participation by the public in a very simple dance. The movements can be taught on site or prior already have been learned. Only 2.5% of the water in the world is fresh water. And of that 2.5%, most of the world’s fresh water is not easily accessible or available. A minuscule 0.4% is in surface waters of lakes and rivers, and as moist air. As many as 69.5% is frozen in glaciers, snow and permafrost. And 30.1% is in underground aquifers. One billion people, approximately one person in eight has no access to clean water. Climate change, environmental pollution, intensive farming, sprays, fracking ..., There is less and less clean water available. If the Global Water Dances makes more people aware of this to work together to improve the situation, that is certainly a good initiative to follow. London, Berlin,... also did already.